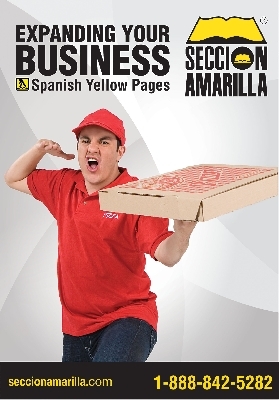 You know the economy is tough when Hispanic celebrities have to moonlight as pizza delivery boys and promoters of the Yellow Pages on the same issue of a nationally-distributed magazine whose cover they are also gracing. 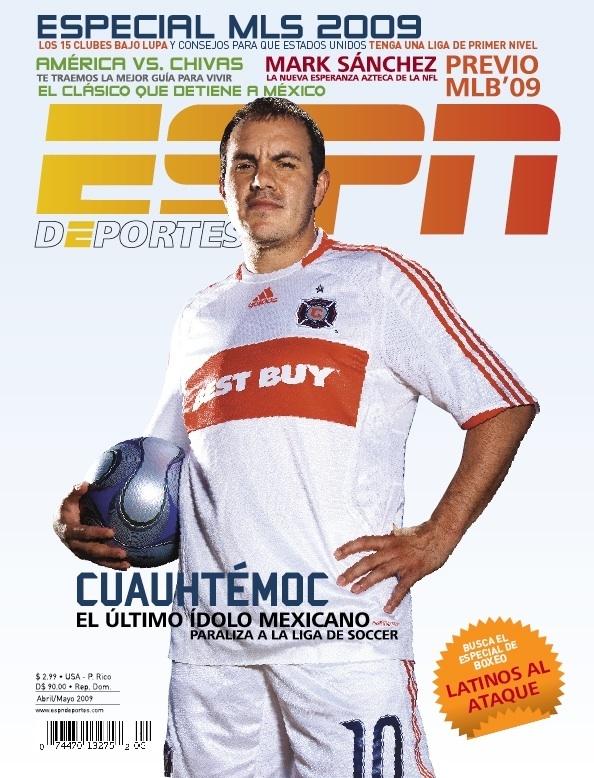 This is Cuauhtémoc Blanco on the cover of ESPN Deportes La Revista (May/June 09) and on the back cover of the same magazine, pitching the Yellow Pages as a pizza delivery boy (for reasons still unknown to this blogger). Click on each photo to expand image.